I, Gülaferit Ü, am a former political prisoner. On request of the BRD I was arrested in Greece in July 2011 and handed over to the BRD. In 2012 I was sentenced to 6 years and 6 month imprisonment on the basis of paragraph §129b. I served my sentence without any easing in the detention center in Lichtenberg. I was released on January 4th. My wish to be released to Greece, was refused by the Ausländerbehörde in Berlin, although I was applying for asylum in Greece when they arrested me. Because of this reason I was forced to file a second asylum application in Germany three days before I was released from prison. The Berlin Ausländerbehörde try to send me to a Lager as soon as I got released. That is a transfer from one closed prison to an open one, which equals a continuation of isolation. My demand to stay in Berlin considering my 6-and-a-half-year imprisonment under heavy/hard conditions and isolation was refused. As a pretext they named the decision of the "Court of Appeal"(Kammergericht) regarding "continuing terrorist threat". 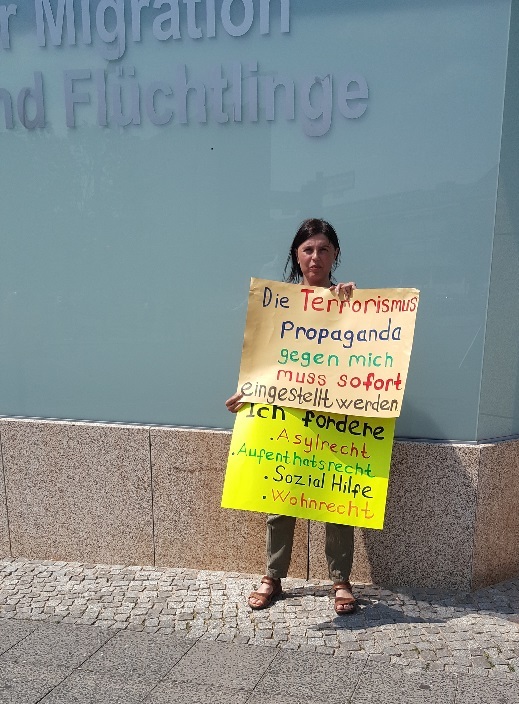 The Berlin Ausländerbehörde has exerted political pressure on the Federal Office, the State Office for Refugee Affairs (LAF), my therapy center and my lawyer through terrorism propaganda. - The Berlin Ausländerbehörde has canceled my appointment with the Federal Office and thereby prevented my asylum. - The Berlin Ausländerbehörde also intervened at the LAF and prevented payments. They had my health insurance reversed and stopped me from being medically treated. - I have not received a residence permit. I was brought back from Greece against my will and I was forced to apply for asylum here. In spite of that, my right to life is restricted. I demand that all reprisals against me and the terrorism propaganda to be ended. 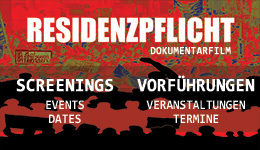 The German state must stop cooperating with fascism in Turkey. If the German state is looking for terrorists, then it should first devote to the 450 Nazis who have gone underground. They should devote themselves to the NSU, NPD, Blood and Honor and the Nazis within the police and the military. They should devote themselves to those who use Anis Amri for their purposes. - The proceedings I have called before the Social and Administrative Courts continue. However, all previous court decisions against me were of a political nature, not of a legal nature. - I call for an end of the political repression and isolation. My demands are the natural, human and legal rights of every human being. I call on the Senate Department for Home Affairs to consider my demands and call for an appointment. Gülaferit Ü. And soligruppe Gülaferit Ü.
Als Vorwand wurde der vom „Kammergericht" gefällte Beschluss bezüglich „anhaltender Terrorgefahr" genannt.